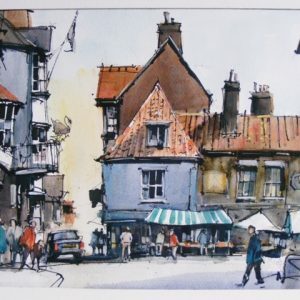 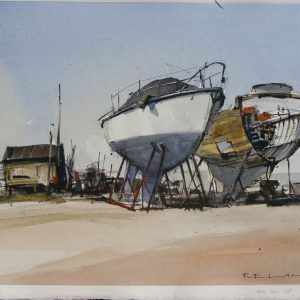 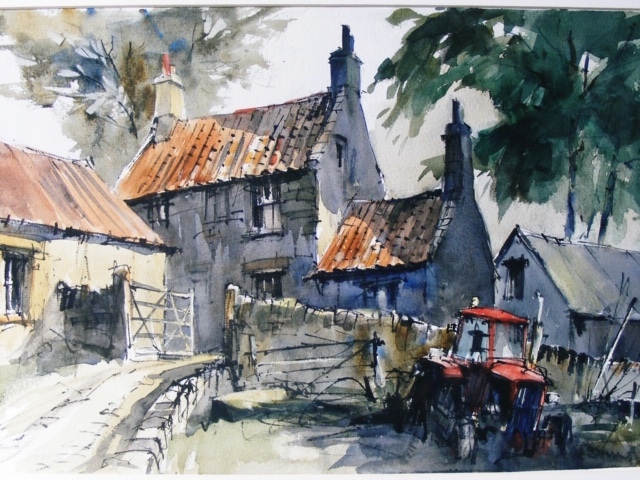 Ron is a longstanding member& Past President of the Birmingham Watercolour Society, and also a member of the Easel Club and Royal Birmingham Society of Artists. 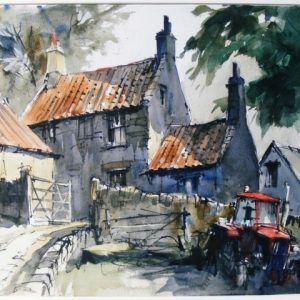 He strongly believes that painting is about drawing, tone and then colour in that order. 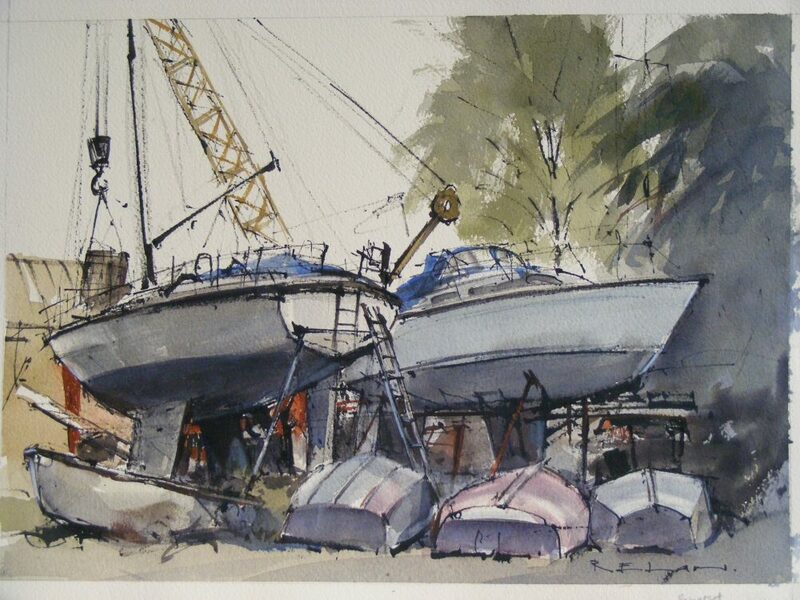 He aims for a reasonably accurate drawing, but not so precise as to appear mechanical. 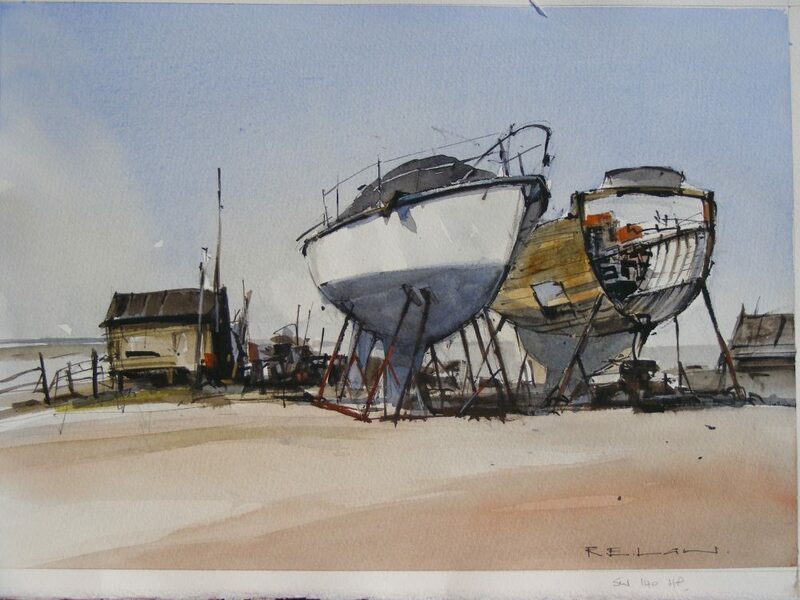 With that in mind, for ink and wash work, he usually draws with ink, and sharpened stick! 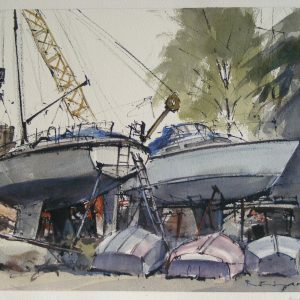 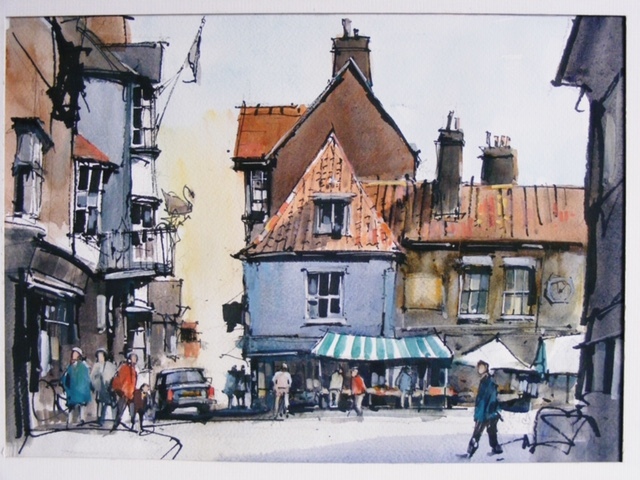 Ron’s preferred subjects have a strong graphic potential, usually buildings, street scenes, moored boats etc.